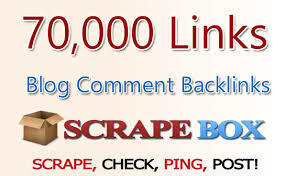 I will do a scrapebox blast with your urls to 400k+ auto approve blogs ( I use multiple premium lists as well as harvest my own link lists) from which you will receive AT LEAST 70 000 live links however usually you will get much more than that. Link report will be included. You can use as many URLs and keywords as you want.